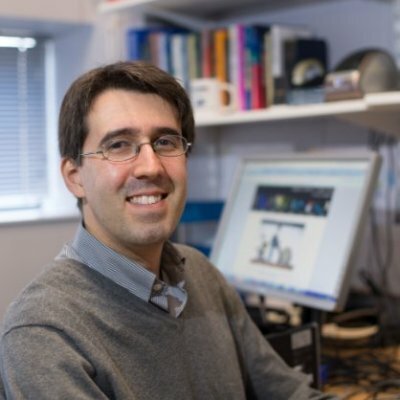 João Pedro de Magalhães is head of the Integrative Genomics of Ageing Group, University of Liverpool. Dr. de Magalhaes graduated in Microbiology in 1999 from the Escola Superior de Biotecnologia in his hometown of Porto, Portugal, and then obtained his PhD in 2004 from the University of Namur in Belgium, where he worked in the Ageing and Stress Group led by Dr Olivier Toussaint. Following a postdoc with genomics pioneer Prof George Church at Harvard Medical School in Boston, USA, in 2008 Dr de Magalhaes was recruited to the University of Liverpool in the UK to develop his own group on genomic approaches to ageing. Now a senior lecturer, Dr. de Magalhaes leads the Integrative Genomics of Ageing Group, which focuses on understanding the genetic, cellular, and molecular mechanisms of ageing. The group’s research integrates different strategies, but its focal point is in developing and applying experimental and computational methods that help bridge the gap between genotype and phenotype, a major challenge of the post-genome era, and helping to decipher the human genome and how it regulates complex processes like ageing. Notably, his group is a world-leader in employing genomics and bioinformatics to study ageing with pioneering work in studying gene networks of ageing and in sequencing and analysing genomes from long-lived species. Dr de Magalhaes has given over 100 invited talks, including a TEDx talk, and his research has been widely featured in the popular press (BBC, CNN, the Washington Post, the Financial Times and many others). Click here to see a compendium of Dr. Magalhaes’s mainstream press coverage from around the world.